BOSTON– M.S. Walker has announced the nationwide expansion of the premium Grand Mayan Tequila line with the introduction of Grand Mayan Reposado. This new expression joins Grand Mayan Ultra Aged and Grand Mayan Silver to round out the growing brand’s line of premium tequilas. Aged in American and French oak casks for 6-8 months, Grand Mayan Reposado Tequila (40 percent ABV; $79.99 750ML) is smooth for sipping with notes of oak and chocolate. Grand Mayan Reposado is full on the palate and leads into a layered and delicious long finish. The tequila is packaged in a hand-painted, cobalt blue bottle that boasts 14-carat gold leaf lettering and embellishments. This Reposado expression joins a portfolio that currently offers two other premium tequilas –Grand Mayan Silver and Grand Mayan Ultra Aged. Grand Mayan Silver (40 percent ABV; $69.99 750ML) is slowly distilled three times, resulting in a light, crystal clear tequila with fresh agave aromas and hints of citrus, mixing flawlessly into almost any cocktail. Grand Mayan Ultra Aged (40 percent ABV; $89.99 750ML) is a blend of tequilas aged three, four and five years in American and French oak casks to produce a tequila that is dark in color with the sweet aroma of nuts, blue agave and chocolate, finishing with a smooth taste that is pleasurable on the palate. Based in Guadalajara, Mexico, Grand Mayan’s portfolio of premium, 100 percent Blue Agave tequilas are meant to be enjoyed on any occasion that calls for a smooth crafted spirit or a refreshing cocktail.Each tequila is presented in beautiful, artisanal hand-made talavera bottles crafted by Mexican artists, packaged with the same care as the high-quality spirit contained inside. A painstaking process, each bottle is crafted from scratch out of clay, baked for more than eight hours, individually numbered and painted by hand. For more information on Grand Mayan Tequila, please visit gmtequila.com. Founded in 1933, M.S. 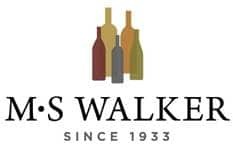 Walker, Inc. is a New England-based importer and distributor of fine wines and spirits, serving both national and international brands. Based in Massachusetts, the company acts as an agency importer of select national spirit brands and several wine brands from around the world, in addition to manufacturing its own brands in Boston, Massachusetts.